By Dan Crack Posted 21/05/2013 under Press Release. Great News! Peterborough City have been successful in their bid to the Arts Council England, Creative People and Places Fund. Great News! 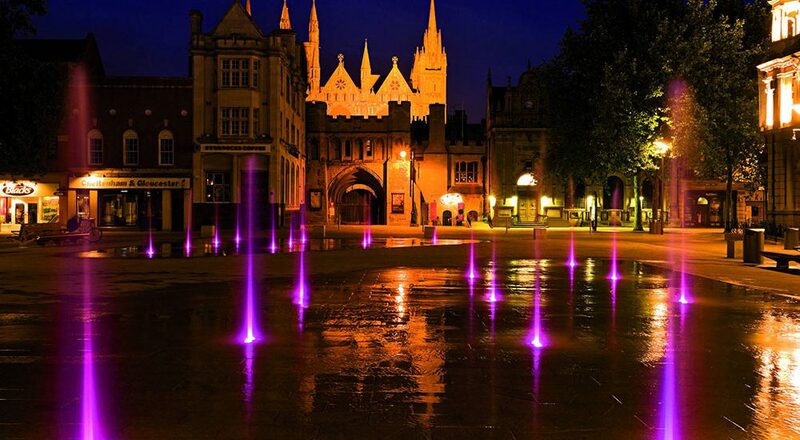 Peterborough City have been successful in their bid to the Arts Council England, Creative People and Places Fund. Young people, artist networks and new communities will be the focus of the local program and the money will be used to engage the community and help create audiences for the arts. To say this is great news for Peterborough would be an understatement. Excellent things are happening! Free Thinking Design lent a helping hand by creating an animated presentation for the bid. The press release can be read below. Vivacity Culture and Leisure are thrilled to announce that Peterborough has successfully been awarded £725,000 of funding from Arts Council England as part of a £1.2m programme. An exciting and innovative programme has been developed by local representatives from Vivacity, Creative Peterborough, Young Lives, Step Up Community Association, Voluntary Arts and Metal. The consortium has been working on the programme and talking to local groups from across the city and it is a great boost to Peterborough to receive this award as it reflects the active support of the many local groups that have been involved over the past year. Creative people and places is a national funding programme from Arts Council England which is designed to get more people involved in the arts. The funding, which is for 3 years, will be used to create a programme of work focused on young people, artist’s networks and collaborations and bringing new communities together to increase audiences and participation in the arts in Peterborough. Greer Roberts, Head of Arts at Vivacity says: ‘Peterborough’s Creative people and places programme is a great opportunity for us to find ways to unlock talent, energy and creativity from across the city allowing communities and grass roots organisations to play a leading part in inspiring others to get involved with the arts’. Jabeen Shafee, Project Manager of Step Up says ‘Step Up Community Association are extremely proud to be partners of a locally based Consortium which has successfully secured funding from The Arts Council. The grant is excellent news for our city and will undoubtedly improve the current Arts provision in Peterborough! Step Up’s expertise in community engagement with minority communities, particularly young people provided a valuable resource for formulating the bid. We now look forward to consulting with these communities to listen to what they want to see happening in their city and bring this to fruition’. To help The Arts Council decide which locations were eligible to apply, it took an average of the Active People data over two years (2009 and 2010) and focused on the least engaged 20 per cent. Active People is currently the most reliable national data source that measures what we are trying to change. A list of eligible locations (the lowest 20 per cent on the list) can be found on The Arts Council website. This funding is a significant achievement, driven by local people and local organisations and Peterborough has developed an innovative programme to become part of this small number of national demonstration projects. Helen Lax, Regional Director, East, Arts Council England, said: ‘This is a fantastic initiative and one that really matched the vision of the Creative people and places programme. Each of the three strands of activity will be informed by feedback from the community, driving local engagement from the outset and ultimately delivering a programme of activity that will invest in and invigorate arts and cultural life in Peterborough’. The Creative people and places consortium will now work through a business planning and partnership development phase with Arts Council England and local partners in deciding the detail of the programme. From November 2013 the public will start to see the benefits of this substantial grant. Download this release and notes for editors.